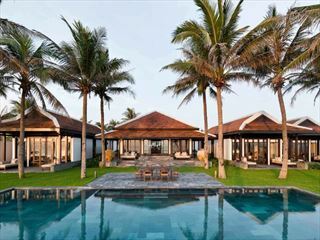 Providing a perfect pocket of peace within walking distance of Hoi An, this boutique resort is everything that you could wish for from a luxury break in Vietnam. 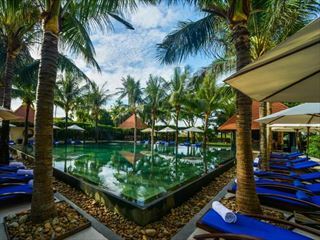 With an excellent spa and swimming pool as well as a good choice of fitness and cultural classes you'll find numerous excuses to work up an appetite which is good news as Hoi An Trails has a fabulous garden restaurant to give your taste buds a work out too. 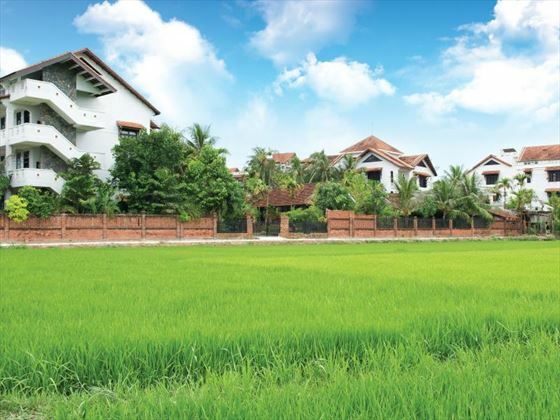 River, rice field and garden views are just what's required to ease you into the laid back life of Vietnam and when you're ready to finally hit the hay your guest room or suite is the ideal spot from where to recline in readiness for the next day's adventure. 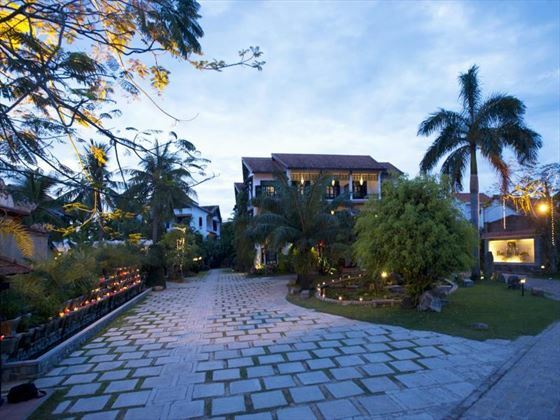 Hoi An Trails Spa Resort is situated next to the Thu Bon River and surrounded by rice fields. 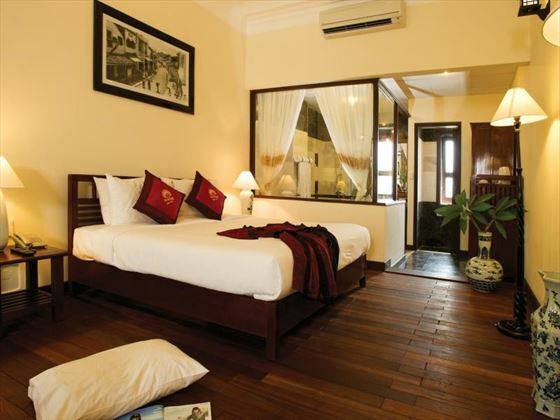 The ancient city of Hoi An is about a 20 minute walk and the old quarter is accessible via a five minute car journey. 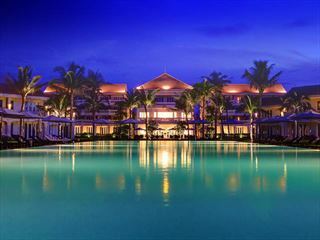 Da Nang International Airport is just over 20 miles away from resort. 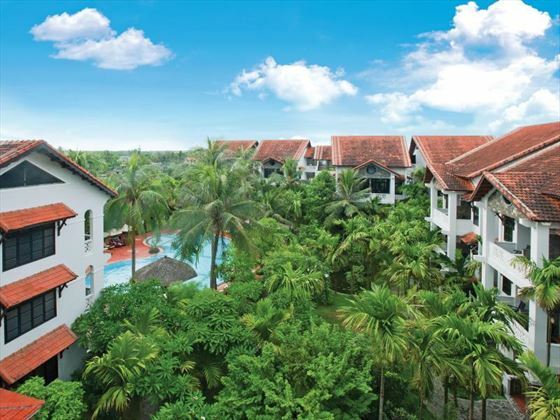 Trails Garden – all day dining featuring a good selection of local, Asian and western cuisine served overlooking the pool and garden. Floating Bar – open from 11am for cakes, coffee, drinks and refreshments as well as pool table, LCD TV and theme nights. 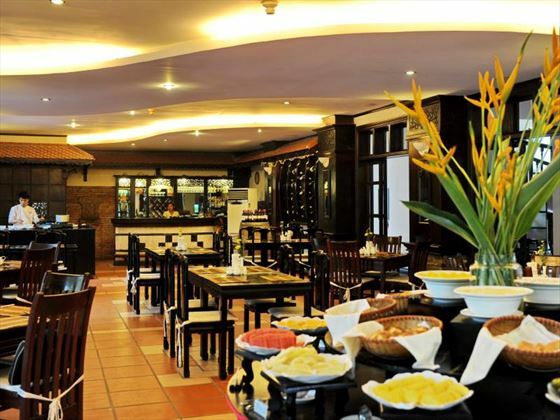 Pool Bar – snacks and soft drinks by the pool. Trails Spa – all over body therapies and beauty treatments using aromatherapy and Dermalogica products and remedies.